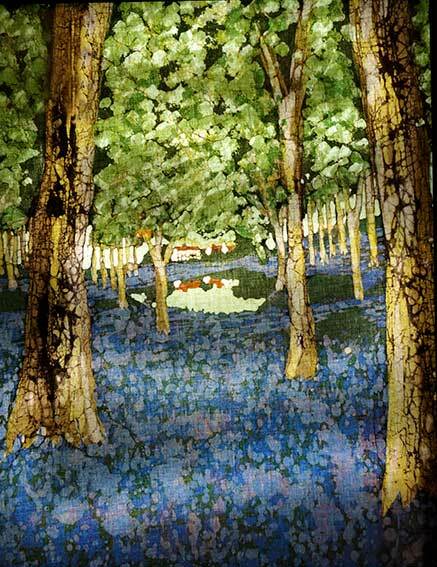 What could be more quintessentially English that a bluebell wood? I love the vibrant blues and purples, set against the dark green leaves, lit by the dappled sun filtering through the trees. This framed original now lives in Australia, bought by some English people emigrating there, to remind them of home.